Same-day ACH is here, thanks to NACHA’s planned upgrade, and OnDeck, a small business lender, has already incorporated it into its platform. Small business owners can now access up to $25,000 in funding on the same day they book a loan or make a withdrawal. “As long as the request is made before the cutoff, funds reach the account by 5 p.m. It doesn’t matter if you are in New York or California,” Prakash said. The same-day cuttoff time and the $25,000 limit are also set by NACHA. OnDeck can lend larger amounts, obviously, up to $500,000, but not through same-day ACH. OnDeck has already processed “millions of dollars over the new rails,” said Prakash. “Anybody who cares about when they get money and when it gets debited back from their account will benefit from this service. If there’s a cash crunch, the predictability and certainty from same day funding are fundamental to managing a business,” he added. OnDeck’s same-day funding model is two-pronged, working both for accessing capital or processing payments to the online lender. On the cash management side, entrepreneurs gain access to the funds when they need it, even if they forget about a payment due on a Friday morning. “A small business owner has to pay suppliers on time or meet payroll. Now they can be certain that the funds will reach the account and they will be able to manage cash flow better,” said Prakash. OnDeck’s same-day transfers are equally important for making payments back to the lender. “Think about the small business owner dealing with the challenges of managing cash already and how some have cash sitting in their account for three days,” he said. Meanwhile, if OnDeck says an account is debited on a Wednesday, they really mean the funds are debited from the account on Wednesday. NACHA, the National Automated Clearing House Association, created same-day ACH transfers in three phases. Phase one and two were limited to credit and debit transactions, which left out some of the small business population. It didn’t make sense for OnDeck to integrate the technology until now. “Through the process of providing a loan to customers, we collect their account information, so we already have it. Now we can meet their needs of getting funding faster without introducing any new friction to the customers,” he added. 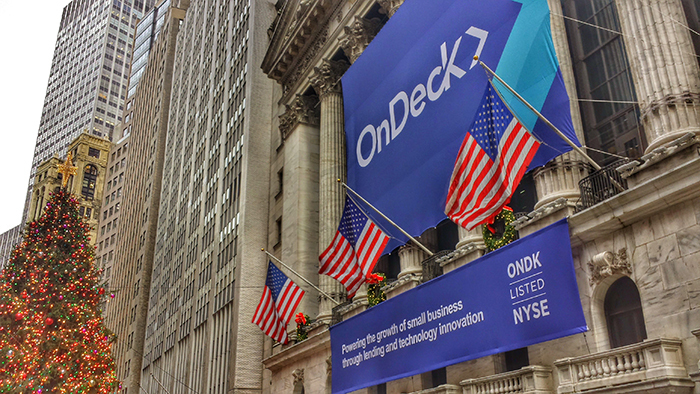 OnDeck, which boasted origination volume of $658 million in Q4 2018, is scheduled to report Q1 2019 financial results on May 2.